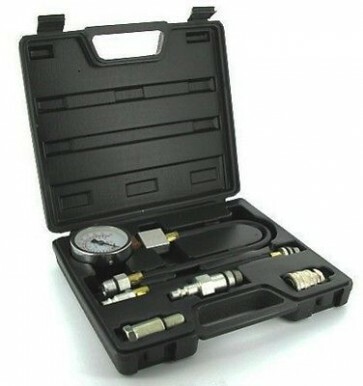 Brand New Petrol Engine Compression Testing Kit Steel couplings and rubber hoses with brass ends. Identifies worn valves and piston rings. Suitable for use on most petrol engines with 14mm or 18mm spark plugs. Easy to read dial gives accurate measurement of individual cylinder pressures. Reads up to max 300psi and 20bar.